Ira J. Bernstein & Associates works with architects, designers, and dealers to provide specialty and custom flooring for development projects. 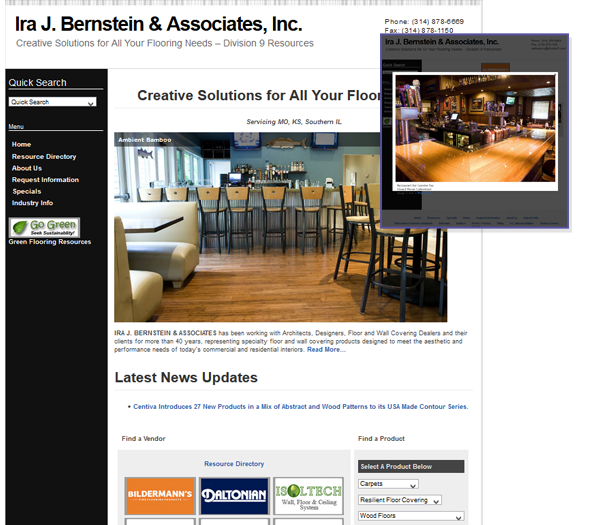 Division9.com is the website for Ira J. Bernstein & Associates, a firm working with architects, designers, floor and wall covering dealers and their clients for more than 40 years. The website was redesigned in WordPress, which is well-suited for the robust content needs for providing accurate and timely information to clients.